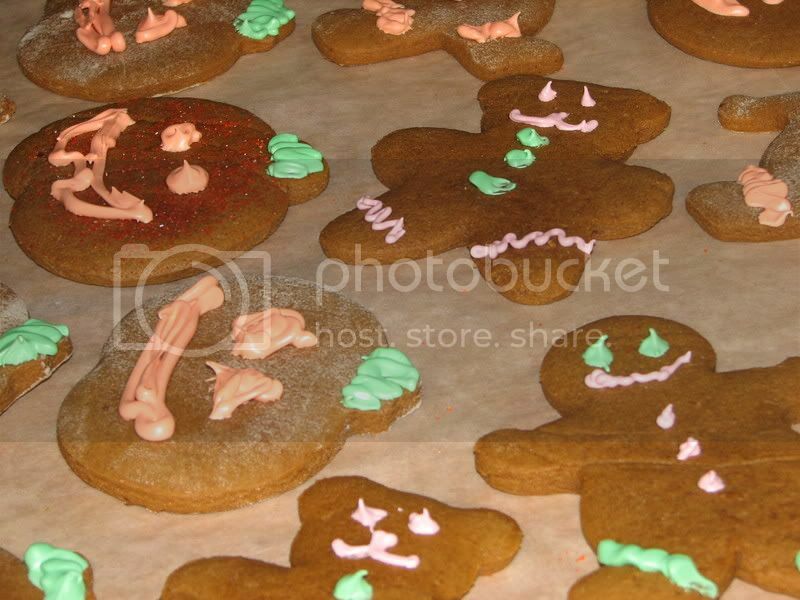 Cyan brought home a recipe for Gingerbread people that didn't include shortening. I was thrilled as I never use shortening and this has always stopped me from making ginerbread in the past (although I could have looked on line I am sure, but just always found another cookie to make instead). Made by me, decorated by the kids. Cream butter, brown sugar, egg, and molasses. Roll out and form with cookie cutters or with just your hands. This makes one large gingerbread man or 15 smaller cookies. If my dd sees this, I know she will want to make it too! Those are so cute! We just had to get the pumpkin cookie cutter that day. It was a lot of fun!